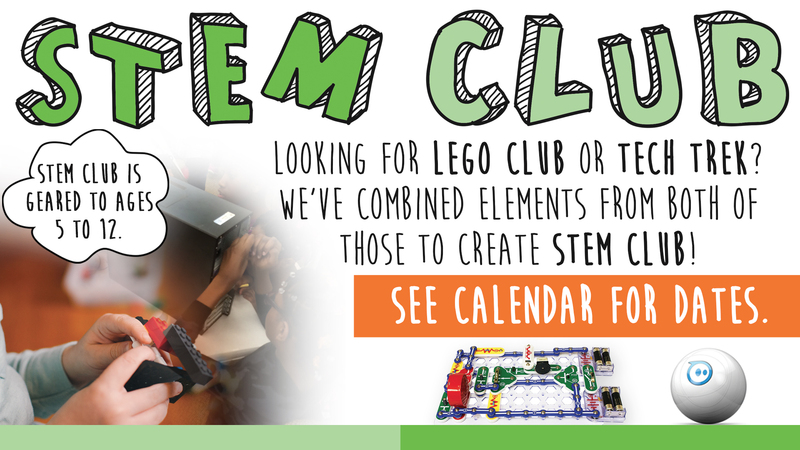 STEM Club has it all! STEM Club will cover various topics associated with science, technology, engineering, and math. For this program, come build with Legos and other building materials. Can you complete our challenge? Geared for ages 5-12. Children 4 and under may participate with adult supervision.